Updated April 15th 2015: new referral spam domain added: theguardlan.com (with an L). Updated April 13th 2015: new referral spam domains added: googlsucks.com, best-seo-offer.com. Update April 6th 2015: new referral spam domains added: www.Get-Free-Traffic-Now.com, best-seo-solution.com. If you’ve come across referral spam in Google Analytics, this post is for you. I explain what it is and how to get rid of it. I don’t post about Analytics and SEO-related topics often, but as I see this happening across many sites with Google Analytics I thought I’d pass on the knowledge about what it is and how to get rid of the referral spam in Google Analytics. Referral spam is nothing more than fake visits from a fake (sub) domain, intended to get you to visit a site. That referral link is most often a redirect link: when you visit it, you get taken to yet another site. This site can be a shop (at aliexpress.com for example) or a different site. The purpose is traffic. 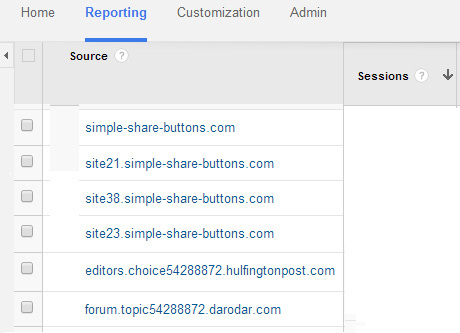 Domains like darodar.com, simple-share-buttons.com and others are used to ‘send’ traffic to your website, where Google Analytics categorizes it as medium type referral. You see a famous domain like huffingtonpost in the above example, but that source was faked: it did not actually come from huffingtonpost.com. This also goes for ‘test’ robots like semalt from the semalt.com domain. It’s all tedious referrer spam, sadly. Here’s a real-time example of Emailmarketingweb.com being hit by referral spam. 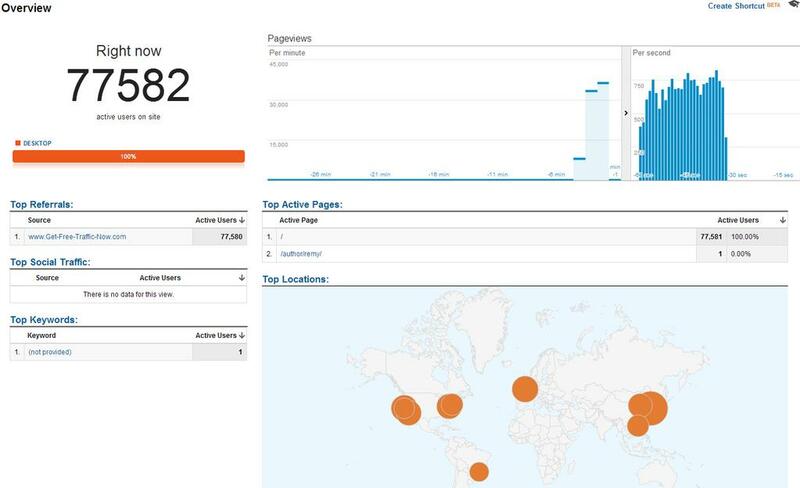 Over 77,000 hits within minutes, from many sources around the world – presumably zombie computers or servers. If you’ve seen this for the first time now, it’s been going on since at least December last year, when a topic on stackoverflow was posted concerning darodar. 1. First, find out which domains are the ones taking part in referral spam. Note them down: you will need them later. 3. After editing it, save it / upload it and check back 24 hours later to see if any follow up referral spam has visited your website(s). Now for some this might be a tedious task to do, but if you want to keep your referrer statistics clean in Google Analytics, it’s necessary. A filter in Google Analytics would be more cumbersome, as you probably want to use your filters for more useful stuff. SEO and Analytics company Moz recently posted a more extensive post on referral spam in Google Analytics and how to get rid of it: be sure to read it here.